The most delicate part of the nail requires delicate care. 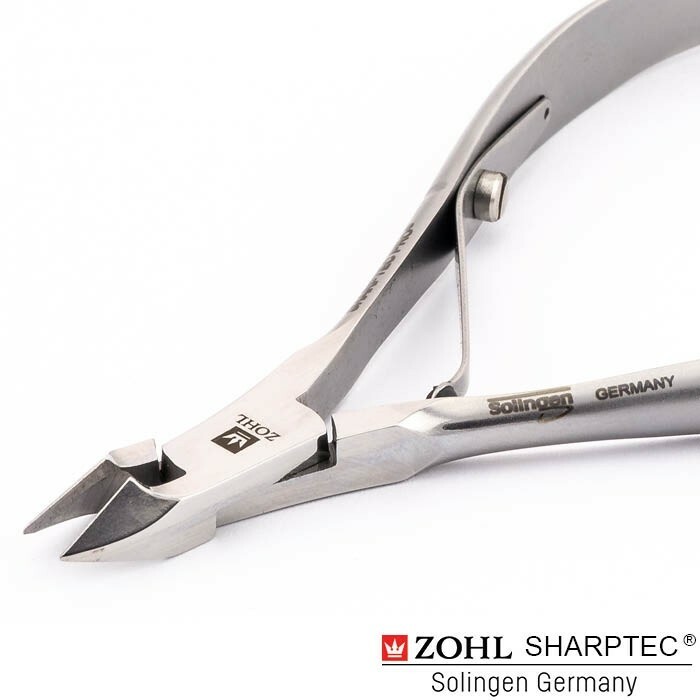 Sharptec PRO® cuticle nippers by Zohl are crafted in Solingen Germany and offer you top notch quality that lasts and performs beautifully. 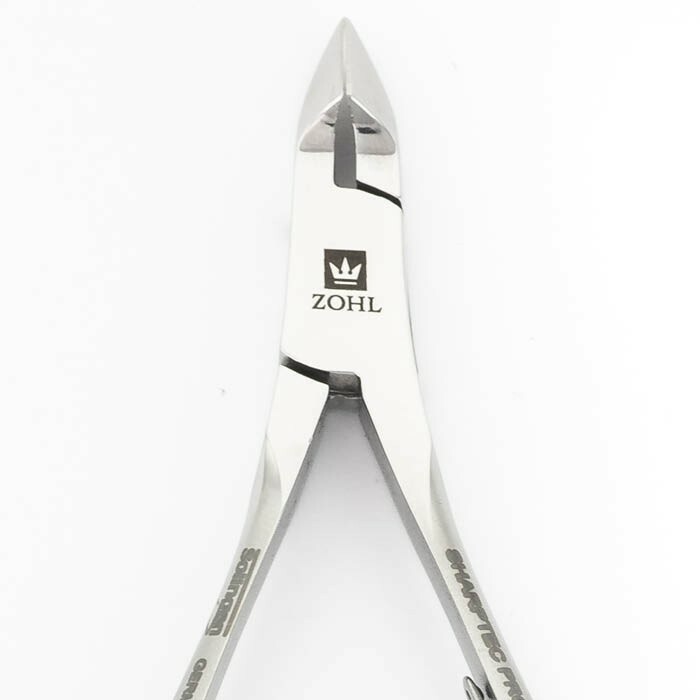 Anti-allergic Topinox® stainless steel is Zohl's best in professional quality and is ideal for sensitive skin. Individually sharpened precision blades cut easily, without tearing, as seen with conventional nippers that go dull just after a few uses. Result? Healthy-looking cuticles. 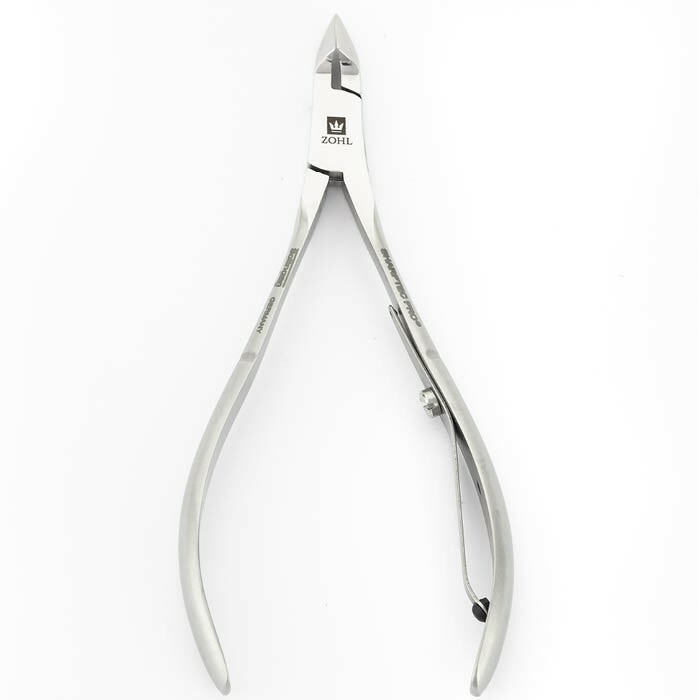 What makes an ideal cuticle nipper? It's the precision blades. 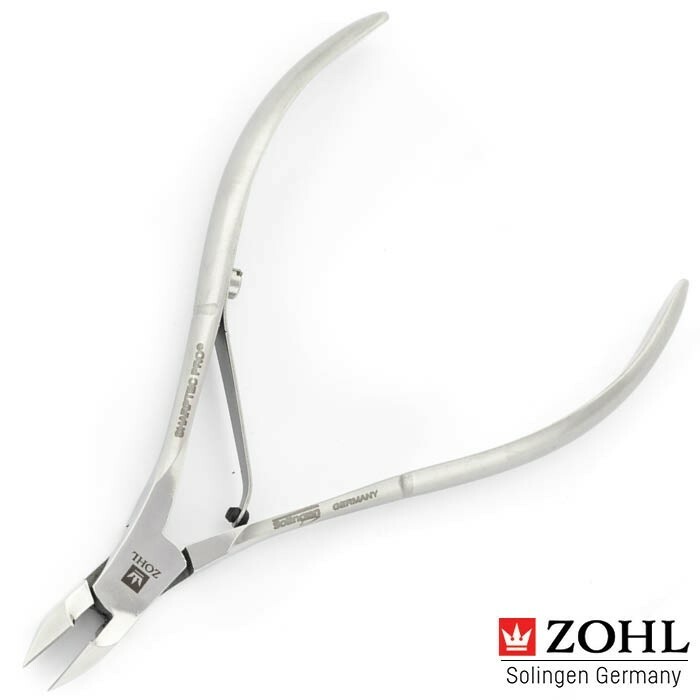 Zohl Solingen cuticle nippers Sharptec PRO® feature meticulously crafted blades and tips, for creating a beautiful nail bed. This way the cuticles are not torn during cutting and the nail continues to receive essential nourishment for healthy growth. Thanks to amazingly sharpened cutting edge (approx. 7 mm long), you are able to cut cuticles evenly in a few easy nips, without damaging nails health. 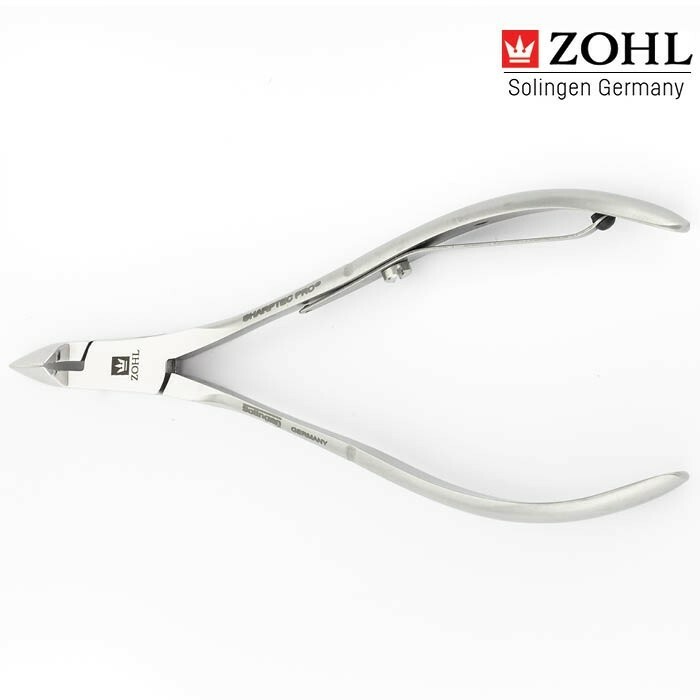 The cuticle nippers are made of Topinox® stainless steel with satin finish – Niegeloh's best-seller in professional quality. Sharptec PRO® has been approved for decades in the finest surgical instruments and keeps its original cutting properties for a long time even with frequent use – offering great value that lasts. Rostfrei material makes the nippers completely bathroom-friendly and you can cut your cuticles straight after shower while they are soft. Perfectly sharpened precision blades, traditional design with reliable box joint – Sharptec PRO® quality does not stop there. 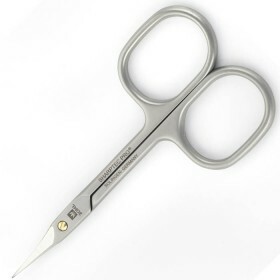 The cuticle clippers are fully sterilisable which makes them ideal for salon use. In addition, they do not contain any nickel – so important for people prone to nickel-related allergies. Trust your manicure ritual to the best professional cuticle clippers Sharptec PRO® made by German experts in manicure care. 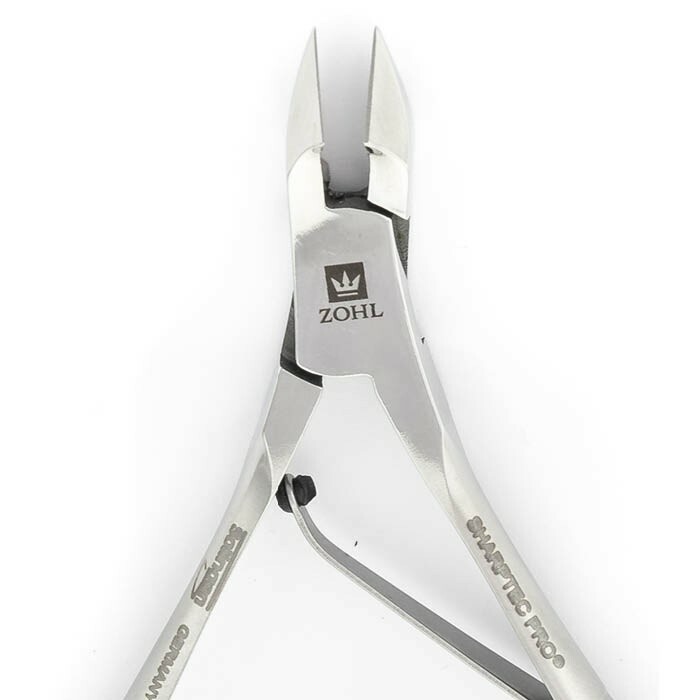 If you are serious about manicure, experience the Zohl Sharptec PRO tools will add to your nail grooming routing. Made is Solingen, Germany. 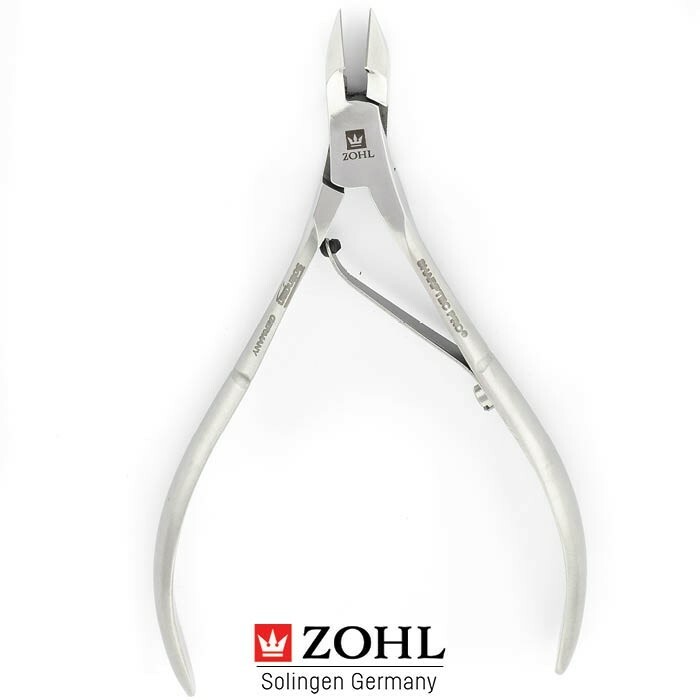 Zohl Solingen is the world leader in producing the highest quality manicure and pedicure instruments, distinguished by workmanship, design and function. Products made by Niegeloh Solingen are known for their ultimate quality and innovative approaches to manufacturing. 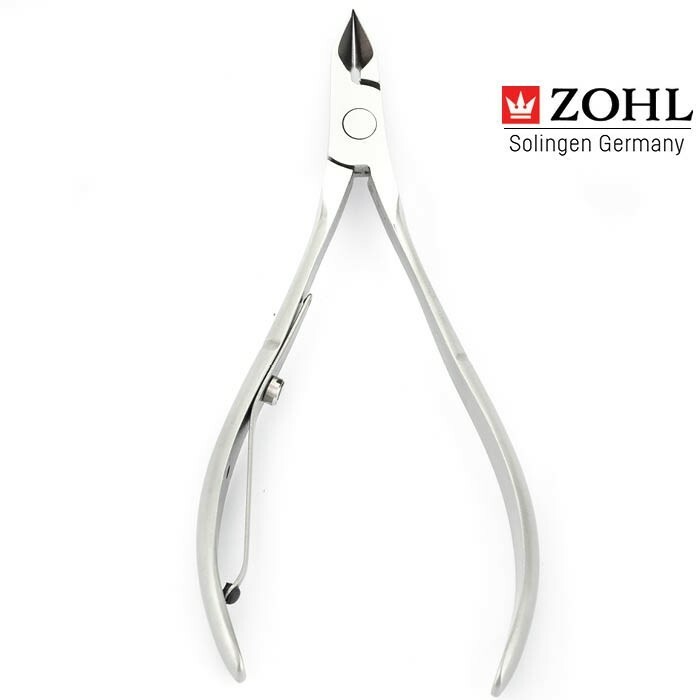 When you buy a Zohl Solingen manicure tool, you buy the best of the best quality that lasts and performs beautifully on nails. Unbelievable sharpness and precision!!! 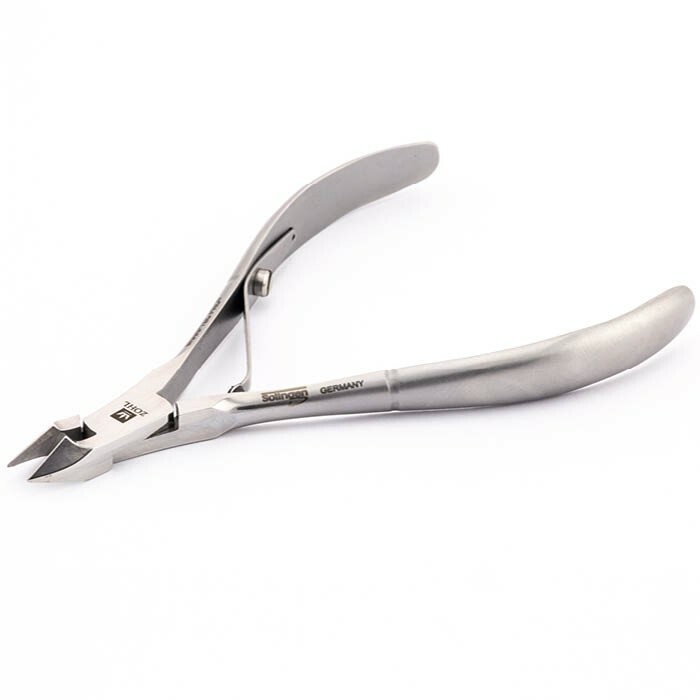 I've been looking for a good quality cuticle nipper for a long time! 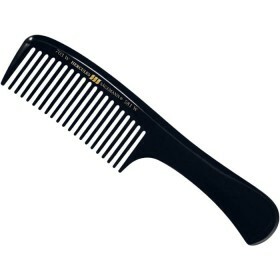 After so many trials I finally found something that trims my cuticle without pulling or tearing it. Highly recommend it. A+ Seller!